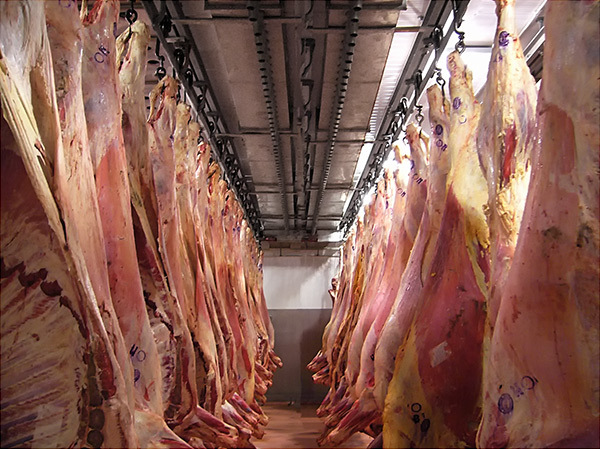 For the world’s largest trade fair for meat industry all major manufacturers meet again this year with their customers from 07.05.-12.05. in Frankfurt / Main to show new products. This is very important for costumers relationships and for meeting new costumers. The company AUTOTHERM L. Brümmendorf GmbH & Co KG will be traditionally represented with a booth in Hall 8.0 Stand A 88 and present their innovations to the professional audience. AUTOTHERM is presenting this year the newest innovation, the DUO-smoker! 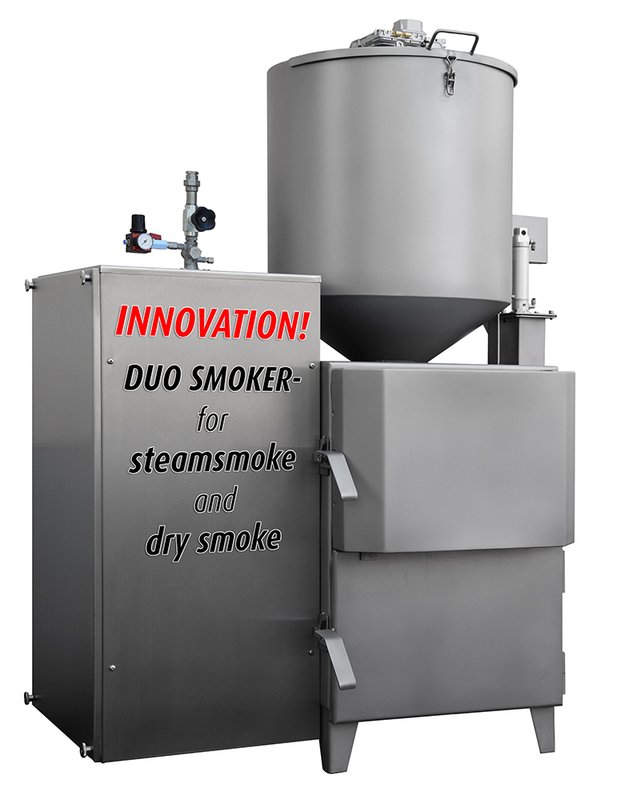 The DUO-smoker is able to produce real steamsmoke or dry glowsmoke, depending on the product requirements, in one machine. Operator can select the type of smoke by controller easily. In this machine will not only mixed dry smoke with steam, the steamsmoke will be produced with steam from 380-400°C! This is about 300°C lower then generating dry smoke with wood chips! So in steamsmoke the carcinogenic substances are extremely low. In addition, the steam smoke process is superior by a lower weight loss of the products, shorter smoking time and high color stability than normal smoking procedures! With the new AUTOTHERM Duo smoke generator AUTOTHERM customers need no longer 2 different smoke generators, but can select by the computer system of which smoke process to be applied to your product. The DUO-smoke generator of Autotherm is patent pending and already protected as a utility model. Furthermore, introduces its new generation of AUTOTHERM defosting equipment in Frankfurt. These new defroster distinguished by efficient air circulation system with variable air velocity in order to achieve optimum adaptation to particularly sensitive products. 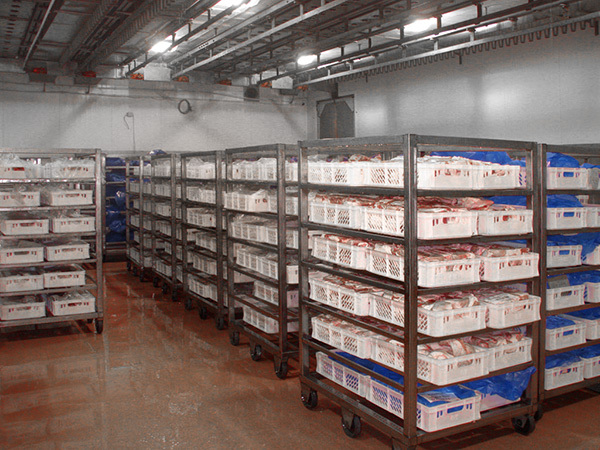 Reliable technology, uniformity, optimal products for further processing and minimal weight losses are criteria which already a lot of customers worldwide. AUTOTHERM presents its proven steam smoke systems with an integrated binary shower, which saturates the air flow inside the chamber with a fine water fog. The optimized atomizer nozzles atomize extremely fine and use the heat energy in the hot goods at the evaporation of fine water droplets. This means rapid cooling with a water saving of up to 80% compared to conventional shower systems! Containing the refined AUTOTHERM Steam Smoke Generator AUTOTHERM presents a more powerful unit, which is designed to use in larger plants (from 4 smoke trolley) . AUTOTHERM have already long time experiences in manufacturing and developing of steam smoke generators since many decades.